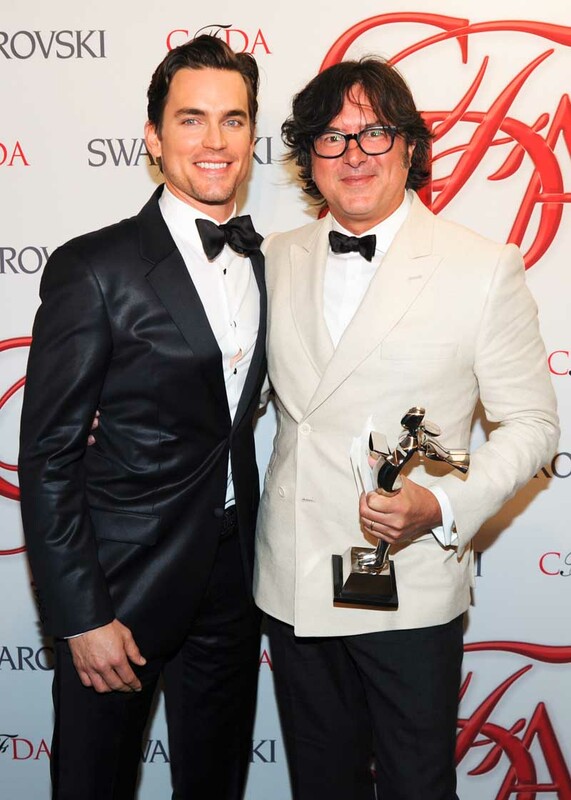 NEW YORK, Jun 5, 2012/ — We know him best as Neal Caffrey on USA Network’s “White Collar” but last night at the CFDA Fashion Awards, Matt Bomer became the man who presented the Menswear Designer of the Year Award to Billy Reid. Wardrobed by Calvin Klein Collection, Matt Bomer can easily be the suave and well-dressed Neal Caffrey that he plays on screen. For the evening, Matt wore a navy chinz wool two-button notch lapel tuxedo, white dress shirt, navy bow tie and black leather shoes from the Spring 2012 Calvin Klein Collection. Still, Matt Caffrey is not alone on being the only stylish young man during at the Alice Tully Hall in Lincoln Center in New York City where the 2012 CFDA Awards was held. New York Giants’ Victor Cruz who also attended the event wore a charcoal grey wool one-button peak lapel tuxedo, lilac dress shirt, black satin tie and black leather shoes from the Spring 2012 Calvin Klein Collection. Each of the men’s looks was designed by Italo Zucchelli, the brands’ Men’s Creative Director, who was in attendance at the event. Francisco Costa, the brands’ Women’s Creative Director, also attended.